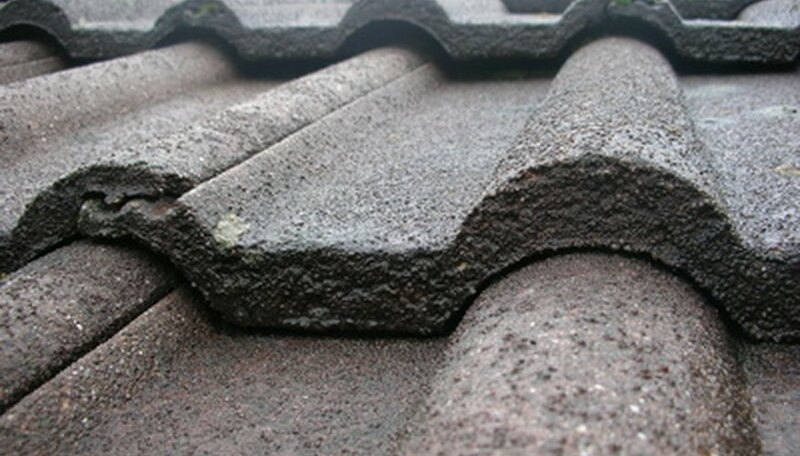 The term shingles broadly refers to roof coverings made of various materials. The most common materials are asphalt, wood, tile and concrete. In addition to materials composition, types of roof shingles vary according to design and application. The easiest way to identify the type of shingle you have, is to closely inspect the roof’s covering for characteristics unique to a specific type of shingle. Roof tiles interlock in a wavy pattern. Extend an extension ladder and set the ladder against the roof’s eave. Climb the ladder to gain a closer look at the shingles. Look at the size and shape of the shingles. 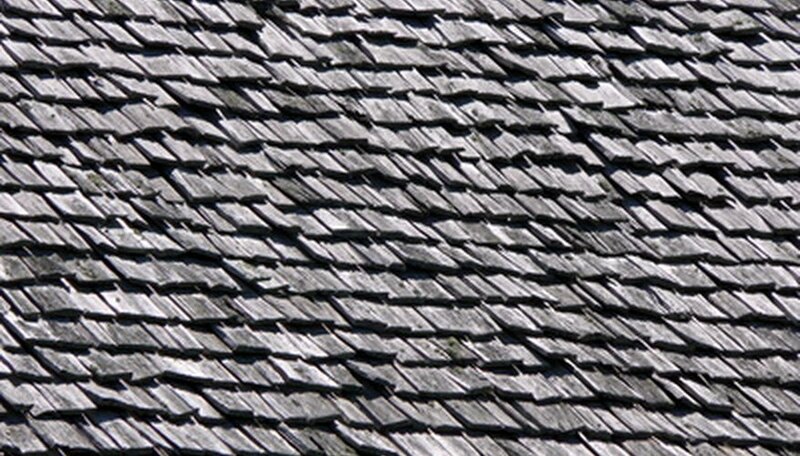 Look for curved, half-circle shingles interlocked in a scalloped pattern; this design indicates tile roof shingles. Concrete shingles have a low, wavy profile and edges that snap together, like laminate flooring. If the shingles are thin, flat, about 3-feet wide and have a grainy surface, you are looking at asphalt shingles. Wood shingles are flat, slightly thicker than asphalt shingles and approximately 12 inches to 18 inches wide. Touch the surface of a shingle to determine the material’s texture. 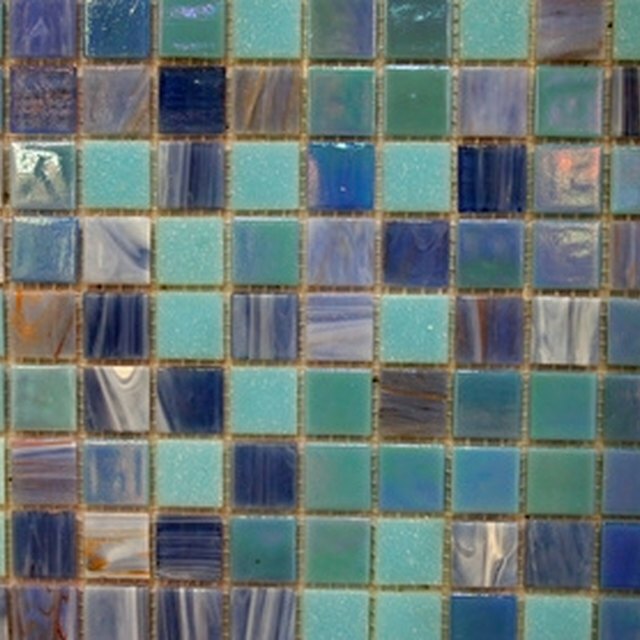 Tile shingles have a hard, relatively smooth surface and the tile’s glaze feels slightly slick. Concrete shingles feel slightly grainy, like an exterior concrete slab. Asphalt shingles feel like they’re covered with coarse sandpaper. Natural wood grains run straight up and down the surface of wood shingles, the grains feel like thin ridges. Based in Hawaii, Shane Grey began writing professionally in 2004. He draws on his construction experience to write instructional home and garden articles. In addition to freelance work, Grey has held a position as an in-house copywriter for an online retailer. He holds a Bachelor of Arts in theater arts from Humboldt State University.